I have been wanting to write this post for years, and it’s about time I sit down and type out my thoughts and reasoning for why it’s so incredibly important to invest in a wedding planner for your wedding. I am passionate about this topic, not only as a wedding planner, but as a recent bride myself. Yes, even I hired a wedding planner for our wedding, something that we did not hesitate to invest in and am wholeheartedly glad that we did! Whether you hire me or not, I cannot advocate for the need for and the peace of mind that comes with bringing a wedding planner on board for your wedding. I never want you to look back on your own wedding with anything but the happiest emotions, remembering a perfect, joyful, relaxed, love-filled day, and I never want you to regret anything when it comes to your wedding: hiring a wedding planner included. Weddings are expensive, yes! I think that is a pretty apparent point, and I know (as a recent bride myself!) how much you want to stretch your budget to accommodate the wedding of your dreams. Many brides hesitate in – or even decide against – hiring a wedding planner of any kind simply because of the cost, or what they assume the cost might be. Before you write-off wedding planning completely, here are a few reasons why I firmly believe that you’ll never regret investing in a wedding planner. Wedding planning is an investment, but I believe it’s 100% worth the cost for a myriad of reasons. There are several types of wedding planning levels that you can bring on board for your wedding, as there are varying levels of involvement (which means varying costs). Many planners offer full wedding planning, partial wedding planning, and month-of (or day-of) coordination. Not all planners off a variety of services, as some may only focus on full service weddings only, while some planners prefer focusing on only month-of or day-of coordination services. Full service wedding planning, will, of course, carry a higher price tag, as your planning is likely with you the entire duration of your engagement, from the moment you hire him or her until the last light is turned off at the end of your wedding night. Many full service wedding planners are often working with you daily for anytime between six months and two years, which is an incredible amount of time, energy, and love to pour into one event! When you think about how many months you’ll have access to your wedding planner, along with unlimited time on your wedding weekend, you can see why their cost might be what it is – and even see how worthwhile the investment is. And, surprisingly, the cost of a full service wedding planner may be much less than you initially expected, especially given the amount of work he or she will do for you throughout your entire engagement. If you’re willing to spend xyz dollars on a venue or a photographer without hesitating, I believe you should give the same thought and consideration into potentially bringing a wedding planner on board for your wedding. If you have a somewhat tighter budget, or if you enjoy being involved in a bit more of the planning process, partial wedding planning might be the ticket for you! It’s often offered at a lower price point, which is wonderful for brides who are more concerned about their budget or who really love being involved in the planning process. It’s still so, so helpful to hire a wedding planner at this level because you’ll still be able to have a huge amount of access to your wedding planner throughout your entire engagement, design and styling services are still included, vendor recommendations flow freely, and you have all-hands-on-deck your wedding weekend, too. Partial wedding planning brings with it so many of the helpful perks of full wedding planning, but it gives the bride a bit more legwork and control along the way. With partial or full wedding planning, your wedding planner can, in all actuality, save you money. This is 100% true, and I can’t tell you how many ways that investing in a wedding planner will save you money in the long run. I’ll explain more in a little bit, below! Another option for wedding planning is hiring a month-of (also called day-of) coordinator. This is the least expensive option for wedding planning, and I firmly believe every single bride, no matter what her budget, should invest in. Hiring a month-of coordinator is so worth the cost for a plethora of reasons, and you should find a way to rearrange your budget to accommodate one. A month-of planner or coordinator carries a different level of involvement, as you likely will be doing almost all of the wedding planning and logistics throughout your engagement. A great month-of coordinator will (hopefully!) check in with you every month or three months, but you’re essentially on your own to plan your wedding, design your big day, and coordinate all of the vendors and logistics. But, about one month out for your wedding, your planner will swoop in, get caught up to speed on all that you’ve done, tie up the loose ends with everything, coordinate all of the final logistics with each and every vendor, create the perfect timeline for your wedding day, ensure that everyone has the final plans in place (including your families). You’ll do a final venue walkthrough with your vendors, turn over all of your wedding items and decor to your planner, let her run and coordinate the rehearsal, and then let her do her thing all day long on your wedding day. This is the best part: you and your families are allowed to be 100% present, relaxed, and stress-free on your wedding day. You get to be the bride, and only the bride. Your mom or your aunt doesn’t have to think about a rain plan or if a vendor showed up on time or how to set up centerpieces or what to do in case something comes up. This is all completely taken care of by your planner and her team. For our own wedding, we hired month-of coordinators, and I cannot exclaim how incredible it was to have our team on board for our wedding! I’m a wedding planner, designer, and stylist, and it was a dream come true to plan our own wedding every step of the day, til about a month out from our wedding. I absolutely love wedding planning, designing, and styling, and getting to do this for us was so much fun (and truly not too stressful). 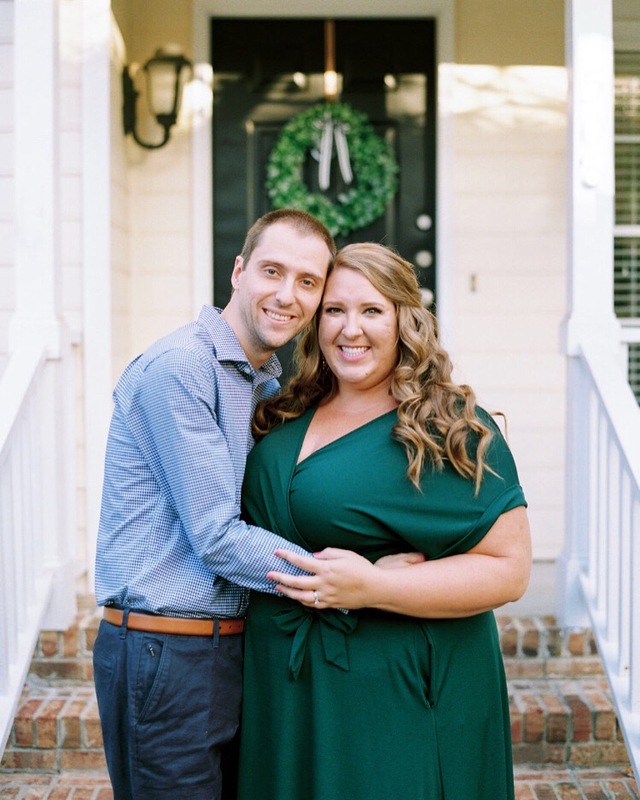 But having our coordinators take control with all of our vendors, finalizing the timeline, and being there the day of our wedding was absolutely, positively worth it. On our wedding day, I was truly the bride. And only the bride. I didn’t lift a finger, I was so relaxed and calm the entire day, my family had so much fun (and had to do nothing), and we were all allowed to be entirely present all day long. I knew, without a doubt, that every single vendor would deliver perfectly, and I also knew that our coordinators would take care of everything regardless. There is always something (usually little!) that goes awry on a wedding day, and though I know nothing that may have gone wrong on our wedding day, the peace of mind that comes with hiring a wedding planner is paramount. You, your groom, your family, and your wedding party are not responsible for anything other than celebrating and having fun; allowing you all to be fully engaged, present, and stress-free all week long! You really can’t put a price tag on this peace of mind, especially knowing that you don’t have to think about a single detail, timeline, or logistic. I think brides often see wedding planners as a “want” and not a “need,” which is somewhat true, especially when it comes to finding room in the budget for a wedding planner. You need a photographer and you need food and you need a venue, but a planner is something that you don’t technically need. But, undoubtedly, your wedding planner will actually save you money. It’s true! Your wedding planner is many things, two of them being your advocate and your budget-cruncher. Your wedding planner already knows how to save you money on your wedding planning and will educate you from the very beginning of your engagement, help you make informed and wise decisions along the way, and point you to the right monetary decisions. Your wedding planner knows your budget and will help you stick to it, or as close to it as possible. She knows, from when you first hire her, what to do, especially since this is likely your first time planning a wedding. Your wedding planner will break down your own budget and show you where to allocate funds, give you an estimate of what you likely will be spending in a particular budgeting category, show you how to prioritize your must-haves and top ticket items, clearly lay out for you what the expected costs of xyz might be for your wedding (and on average), and will show you what other costs (likely unexpected costs to you) might arise. It’s imperative to have someone on board who is not only your advocate and on your team but who is experienced, knowledgeable, and knows the wedding industry in and out. With a wedding planner, you will be guided every step of the way. This is especially important when it comes to budgeting. As a newly engaged bride-to-be, you are most likely planning your very first (and hopefully only!) wedding. If you hire someone who is incredibly experienced in the wedding industry and who has planned dozens of successful, smooth weddings before yours, then you know you’ll be in good hands. You want to trust someone who has done this before, because she can revolutionize your wedding planning process in more ways that you even know. She’ll know how to properly plan for Plan B… and Plan C. And she will most certainly save you money throughout your engagement by coming up with innovate solutions, anticipating costs correctly, recommeding the right vendors for you (which I’ll touch on again below), and showing you how to prioritize and allocate your funds well, giving you the biggest impact possible. I have said this countless times to friends and wedding industry peers lately: I want to educate my couples from the beginning, especially when it comes to the cost of weddings and elements that they might not anticipate. From the very beginning of your wedding planning process, I can help you navigate the very tricky – and very overwhelming – waters of finding the perfect venue, crafting your ideal guest list, determining a budget, and setting a wedding date. I can also help you design your wedding and determine what you can expect to spend on various wedding budget items. There are so many costs that a venue might not tell you outright, and I want all of my couples to be educated and aware from the get-go. Do you need to rent a tent for your wedding? What about rentals? Must I choose one of their caterers? How much is alcohol actually going to cost? Do I need to build a dance floor? What about a stage? Will I need to bring in air conditioning or fans? What happens if it rains? How will our guests get from Point A to Point B to Point C? What about vendor meals? What about guests who don’t RSVP? What if…? There are countless (truly, countless) logistics and details that come into weddings, and a wedding planner is there to do that for you and to help you navigate all of those questions with ease, insight, and wisdom. One of the biggest perks of investing in a wedding planner (this particularly relates to partial and full service planning) is their wealth of knowledge that you can tap into anytime, as well as their connections and recommendations. With a wedding planner, you have access to her anytime during business hours. From the moment my clients hire me, they have almost unlimited access to me throughout the entire wedding planning process and their engagement. For brides who have two year long engagements, this is particularly advantageous! I talk to most of my partial and full service clients most every day (or at least several times a week, typically via email) the duration of their engagement. I always want them to feel like I am accessible, focused on their wedding, and available to help in any way. (This applies to business hours only! Unless it’s their wedding week or there’s an emergency, I very, very rarely check emails after 5:30pm or on the weekends, which has worked quite well thus far!) Having a wedding planner is worth its weight in gold; I’m convinced. I guide them every step of the way, on matters big and small. Recommending vendors is a big part of my job and one that I love wholeheartedly. Wedding planners are able to recommend other vetted, trusted, like-minded vendors with exquisite style, big hearts for their clients, impeccable client service, within your budget, and who would be a great fit for your wedding. I created a recommended vendor guide filled with those local vendors that I know, love, and trust – and who I would personally use for my own wedding. In fact, the last page of my recommended vendor guide are the exact vendors we used for our wedding, which I’ve found to be particularly helpful and beneficial to my couples! Each of the vendors I recommend to my clients is someone who I think would be a wonderful addition to their wedding. And wedding planners can sometimes negotiate for the bride and groom, often have personal connections, and many times have preferred wedding planner discounts that can be utilized. Investing in a wedding planner can most certainly save you money and help you invest in the best vendors for your wedding! Having your dream team on board for your wedding is critical, and a wedding planner can direct you to those dream vendors, look for creative ways to work within your budget, articulate your vision and design, and plan all of the logistics. They also already know what questions to ask, how to best utilize your money/time, how to get the most bang for your buck, look for ways to compromise and work creatively, and be your advocate. Your wedding planner is also your encouragement crew throughout your engagement! We are there to support you during the wedding planning process, see how you are doing balancing work/life/your fiance/wedding planning, and to get you excited for your wedding day. I love meeting with my brides in person and hearing about how excited they are for their wedding, honeymoon, and marriage, and I think my own excitement for them is also contagious! As a newlywed myself, I know how much it touched me when others invested in me during our engagement, when people cheered us on in our upcoming marriage, and when others were genuinely excited for us. I always, always want to be a source of encouragement for my couples, as wedding planning can be both stressful and overwhelming. And as a wedding planner (and friend! ), I want to take those stresses and worries and concerns away from my couples completely. Wedding planning doesn’t stress me out and it comes very naturally to me, so I like to take those burdens off of my couples and help them as much as possible. Hiring a wedding planner also gives you more time to focus on your fiance and on your marriage. This is something that fuels my business and my heart for my couples. As beautiful and special as your wedding day will be, it’s your marriage that matters the most. Letting someone (someone who already knows what she is doing and is an expert!) take the reigns during your engagement gives you more time and energy to invest into each other and into preparing well for your marriage. Afterall, this is ultimately what it’s all about: marriage, a lifetime commitment to one another, unconditional love, and a prepared, excited beginning your to marriage. Taking the time to thoughtfully plan out your ceremony, to invest in pre-marital counseling together, to talk together and discuss both your big picture dreams and the nitty-gritty, to take time off from wedding planning… I cannot recommend all of this enough, and hiring a wedding planner will help bring all of this to fruition. I often say that my undergrad degrees in sociology and psychology come in handy while being a wedding planner, and it’s so true. Sometimes it’s not talked about, but weddings often can bring out the best – and the worst – people. I am brought into families and can help navigate an emotional season, whether it comes to family relationships or expectations or who is in control or the budget. There are a lot of stressful family situations that arise during the wedding planning process, and it happens more often than not. Whatever your situation is, I try to help with grace, patience, understanding, and a heart for compromise. That’s actually a part of my job that I love the most: I want to make the entire engagement season as joyful, stress-free, and fun as possible for everyone involved, and I often help navigate family drama or touchy situations. A wedding planner can handle stresses throughout the wedding planning process and on the wedding weekend with ease, grace, and patience, and that’s something so, so helpful to have. As glamorous as weddings often are, wedding planning is very rarely all that glamorous, especially on the wedding day. We are your planners, lead point person, and stylist all in one day. At one point or another, I’ve scraped melted wax off of wooden farm tables, spent 18 hours onsite at a wedding (typically 10-14 hours), lugged bags and boxes a mile, expertly dealt with a wedding cake that melted and started leaning, fixed a torn wedding dress that majorly ripped in the middle of the dance floor, cleaned up spilled red wine on a dance floor, dealt with thousands of sparklers with no injury, climbed on incredibly high ladders to hang drapery or lighting or decor, edited many wedding invitations that almost were printed incorrectly, touched up wedding hair and makeup, carried unlimited items around from a random bridesmaid/aunt/guest, handled intoxicated wedding guests effortlessly, and countless other tales, as any wedding planner can attest to. And we do all of those things with never-ending smiles, a heap of grace, and looking wedding-appropriate and put-together, too! Every one of my brides has told me that she doesn’t know how her wedding day would have happended or what they would have done without me. And that’s a huge compliment! I also love this post on what a wedding planner really does: it rings so true! One of my biggest motivators for writing this post is so that you won’t regret not hiring a wedding planner for your wedding day. I’ve had so many friends, friends of friends, and even potential clients reach out to me after their weddings to say that they wish they had invested in a wedding planner. I don’t want this to happen to you, as I never want you to look back on your wedding day with regrets or with anything other than complete joy. Since you can’t go back in time an re-do anything, I don’t want you to make an uninformed decision about hiring a wedding planner and if it’s worth it or not. A great wedding planner will be well, well worth it, in my opinion: time saved, stress and overwhelm relieved, incredible peace of mind gained, money saved, an advocate and guide for you throughout your engagement, trusting that your wedding will be executed flawlessly, and knowing that you have a dream team of vendors on board for the happiest day of your life. So what do you think? Have I convinced you yet?! If you are a bride-to-be or not quite engaged yet, do you have any hesitations about hiring a wedding planner or any reasons why you may have chosen to invest in a planner or not use one at all? If you have gotten married, what did you decide to do, and why? I always love that my own mom, who is quite frugal and super organized, says that the best decision they made for my sister’s wedding four years ago was having a month-of coordinator! Fellow wedding industry peers, I would love for you to weigh in, too! I know every vendor I’ve ever talked to has said how much they love when a wedding has a professional wedding planner on board. It’s so incredibly beneficial for everyone involved in the wedding, from the bride and groom to the families to the venue to the other vendors! You can also read my friend Rhi’s post on the (big!) differences between a venue coordinator and a wedding planner – and why we both recommend that you hire a wedding planner! And if you’re so inclined, you can find my wedding planning website at Stephanie Scholl Events, along with my portfolio and lots of glowing reviews from treasured clients over the last 3.5 years!